Clotted Cream is deliciously creamy and the essential companion to a batch of British scones. You don’t have to go to England to enjoy your tea-time treats though, because clotted cream is so easy to make at home! Clotted cream is a staple on British tea-time tables. You’ll find it served in a little dish right along side of your scones. 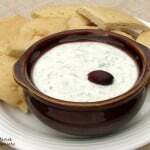 It is a thick, creamy, white spread, the consistency of softened cream cheese. It is ever so slightly sweet, but mostly just incredibly creamy. Like a good, unsalted butter. Sometimes you may hear “clotted cream” called “Devonshire cream” or “Cornish cream”. It really all depends on region you are in. The making of clotted cream started in Devon as a way to separate the fat from milk to make butter. Centuries later in Cornwall, it became popular to use the cream on its own. At that time, clotted cream and butter were the most popular ways to preserve milk. Of course, those in Devon and Cornwall each claim that their cream is superior. We’ll have to take a trip to decide for ourselves! 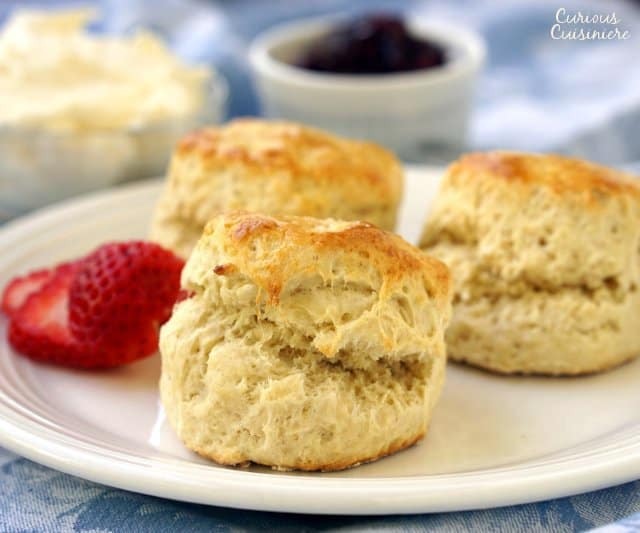 Clotted cream is the perfect accompaniment to our British scones! What’s The Difference Between Clotted Cream And Whipped Cream? 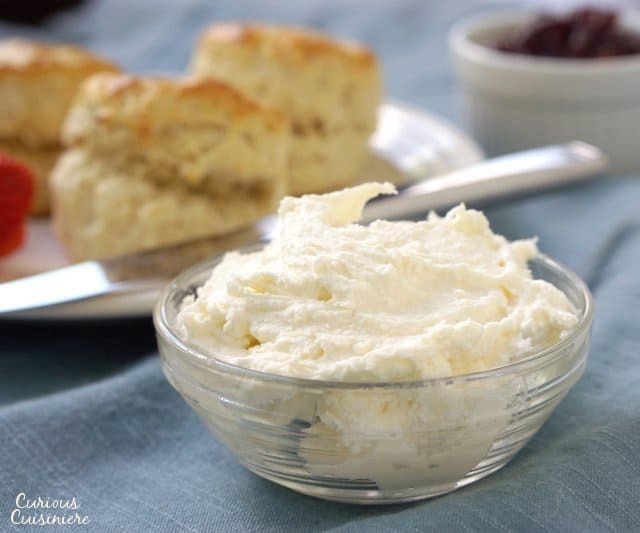 While at first a bowl of clotted cream might look similar to whipped cream, once you take a taste, you’ll know the difference. Both start with the same basic ingredient: heavy cream. But, for whipped cream you whip that cream into light and fluffy pillows. Often you’ll add sweetener and possibly a flavoring, like vanilla, to whipped cream as well. Clotted cream, on the other hand, is heated and separated, as we’ll go into more detail on below. This process produces a thicker, creamy substance. Another difference is that clotted cream is typically not sweetened. It’s loved for the creamy texture it adds, similar to butter, rather than a particular sweetness or flavor. What’s The Difference Between Clotted Cream And Butter? So, if it has a thicker consistency and is more savory, how is clotted cream different from butter? Again, it comes down to the process. Butter is made by churning (or whipping) cream. So, if you over whip your whipped cream, you’ll end up with a nice, whipped butter. Clotted cream, again, has to do with the separation of the fat in your cream. So let’s get into the process of how to make clotted cream. Clotted describes the look of the cream when it is heated ever so gently so that the fat separates to the top and clings together. Buying jars of imported clotted cream can get quite pricey. But you don’t have to worry about that any more, because making it at home is incredibly easy. Actually, the hardest part about making clotted cream is finding the cream. You see, you have to start with heavy cream that has not been ultra-pasteurized for a longer shelf life. Simply look for a carton of heavy cream that does not say “ultra-pasteurized”, and you’re good to go! After you find your cream, the second hardest part to making clotted cream is the wait. The cream has to be heated slowly for 12 hours, which we find easiest to do overnight. Then it is cooled for another 8 hours (or over the next night). Finally, you separate the cream from the liquid, and you have the spread that you have been waiting for. It might take a long time, but it’s mostly hands off. And it’s SO worth the wait! 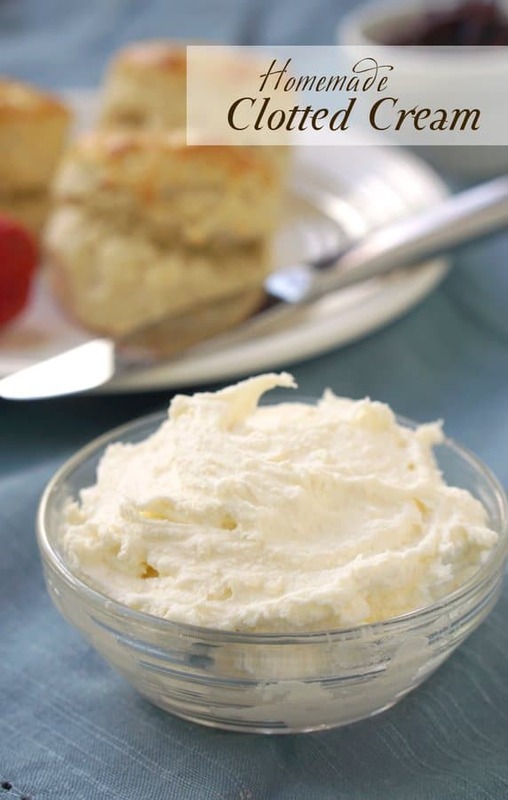 To make clotted cream, you will want to start the process 3 days before you plan to serve your cream. It sounds like a lot of time, but most of the process is done while you sleep! Preheat your oven to 170-180F. After heating for 12 hours, the cream will develop a skin. Carefully remove the dish from the oven and let it cool to room temperature. Once cool, cover the dish and refrigerate it for 8 hours (or overnight again). *The leftover liquid can be used like milk. It’s great for baking! ** Oven note: Some ovens have a safety feature that shuts them off after extended periods of time. If this is your oven, you may want to do the clotting step during the day, when you can make sure your oven stays on and at a low temperature. Absolutely delicious! Easy-peasy! Started recipe one day prior after lunch since I would be using until 1230, then set oven to 175 F – removed from oven and transferred to a room temp Heat proof bowl and let cool a bit before covering loosely with plastic wrap and place in refrigerator., removed 10 hrs later. Perfection! So glad you’re enjoying the clotted cream Susan! This was the most incredible thing I’ve ever tasted. I live in the Southeast United States and it’s impossible to find here. I’m always up for trying a new recipe and I couldn’t be more happy with how it turned out. Does anyone know where I can buy non ultra pasteurised cream in the UK or France? Thank you! 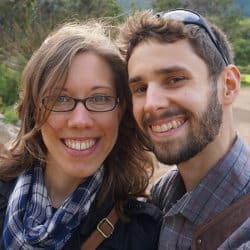 Hi Sarah. You could try clotting your cream during the day and manually cycling the oven on and off to keep the temperature a bit lower. My father and grandfather were from Devon. 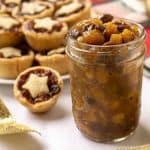 I watched my parents, grandad and great aunts eat huge amounts of clotted cream – on tinned peaches or apricots, scones, ice cream, even home-made suet pudding (! ), in the 60s and 70s. I have never once heard of a separate product called “Devonshire Cream”. Is that a modern marketing invention? Hi Tigger. So many uses for clotted cream! As we mention in the article, the name Devonshire Cream is largely regional. It might be a more recent thing in an attempt to promote their region as the originator of clotted cream. Or, it could be similar to the way that in New England, you don’t hear them talk about ‘New England Clam Chowder’, it’s simply ‘Clam Chowder’. When you’re in the area, you don’t have to specify what region you’re talking about. I haven’t made this yet, but intend to…. Would you be able to tell me the best size baking dish to use? I’m assuming a rectangular one is best? Thank you. Hi JD. We use a small, glass, rectangular dish. But, as long as your cream is only 1-2 inches deep, the goal is a lot of surface area, any shape dish will work just fine. I just made a double batch today to go along with some homemade lemon curd and scones I’m taking to a gathering tomorrow. It was easy enough to make following your directions however I found that after separating the solids and liquid, it was necessary to force the clotted cream through a sieve and then pat dry with a cloth to get the texture and consistency I’ve become familiar with in the U.K. It was still an easy enough process and so much cheaper than buying it at our local grocery store that has a UK section for British ex-pats. I will absolutely confirm it was nearly impossible to find simple pasturerized cream as opposed to ultra-pasteurized. One store nothing. The next store had six brands and the final one I checked was the one I wanted. It seems the odds of finding what is needed is more likely found among organic brands. Anyway, thank you so much for this recipe! Hi Anita. We’re so glad you enjoyed the recipe! Passing it through a sieve is a great idea if you’re looking for an easy way to make it silky smooth. And, yes, we have found that organic brands are often your best bet for not ultra-pasteurized cream. Thanks so much! Was in UK in October,2018 and was treated to cream tea. Found recipes to make my own Clotted Cream as I can’t get it in my small Canadian city. Finally found the right cream and it turned out so excited . So glad you’re enjoying our clotted cream recipe! OMG! I made this the other day for a tea I gave yesterday and it was delicious! Much better than anything out of a jar! I used heavy whipping Creme with 36 percent milk fat that was not ultra pasteurized and put it in the oven at 170 for 12 hours! It was a little time consuming but so easy! Thanks for the recipe! So glad you enjoyed the recipe Sheila! Has anyone tried to make it in the slow cooker? Do you think it would work? Thank you. Hi Aline, We haven’t tried making this in the slow cooker. It could possibly work, but you would need to do some testing on your slow cooker first. I would put some water in the slow cooker on low for 12 hours, then take the temperature of the water. If it is over 170F, then it is too hot to clot the cream. If you do give it a try, let us know how it comes out for you! 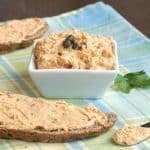 I make this in the slow cooker several times a year. You want to use the ‘warm’ setting, You also want to put the lid on, with the vent open. You need the lid to get it warm enough, but you still need to let out the moisture/evaporation. I take the lid off and wipe the condensation off it at the 4 and 8 hour marks. I leave it running on warm for 10-12 hours, let it cool for a few hours on the countertop uncovered and then refrigerate the whole crock part of the slow cooker for at least another 8 hours. The next day I run a knife around the edge to loosen the skin from the crock, and a slotted spoon to gently scoop up the clotted cream and leave the whey behind. This sounds like a perfect recipe to try with a sous vide, or perhaps the yogurt setting on the Instant Pot. My oven’s lowest setting is well over 170f – so I’ll have to get creative. Those both sound like great ideas! We’ll have to test them out. If you get a chance to try them, definitely stop back by and let us know how they turned out for you! I was so excited to make the clotted cream! I couldn’t find any info about my oven shutting off so I just went ahead without testing it… during the night! When I woke up, the oven had shut off, I think about two hours before. The clotted cream looked fine and was just warm so I putit straight into the fridge. I’m wondering if it’s healthy to eat since it had been in the warm oven for that time. Hi Ina. I think you should be fine, particularly if the cream was still warm when you found it in the oven. 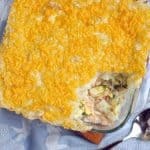 Go ahead and continue the recipe as written, and enjoy! I am hoping that this works as i found cream that was not ultra pasteurized, but it didn’t say “heavy” . I just removed from the oven and while it looks beautiful, the skin is a bit golden and flakey. Once cooled, what am I to do with the flakey crust? I know your instructions say hands off till completely cooled,… it is still pretty liquid,I assume it will stiffen in the cooling process? Have you tried using a crock pot to process instead of the oven? I am hosting a tea at my library and would love to serve this! Also, do you have a recommendation for any good scone recipes? Hi Mary. We have not tried this using a crock pot. My concern would be that the crock pot would get the cream too hot. Before trying this in the crock pot, I would do a test with some water in the crock pot on low for 12 hours and then use a thermometer to check the temperature of the water. If it’s over 170F, then your crock pot gets too hot to properly clot the cream. We do have a scone recipe that we love. You can find it here: https://www.curiouscuisiniere.com/british-scones/. I doubled this as I needed enough for a High Tea catering I was doing. It came out REALLY thick. It wasn’t a problem as I put the cream in the Kitchen Aid and mixed in most of the milky layer. The only oven I have is convection so I took it down to 170 and checked it at 10 hours but left it in for the suggested 12. Once it was mixed it was wonderful, but there is no way I could have mixed it by hand. Would that be because of the convection or did I simply bake it too long? As I said, it was WONDERFUL but just wondered why it was so thick! Hi Sherri, It is possible it is because of the convection. The added air circulation may have dried things out a bit more than normal as it clotted. So glad you enjoyed it! I am excited to learn I can actually make my own clotted cream! I have recently moved from The Woodlands, Texas to Shreveport where you cannot buy clotted cream. Thank all of you for your comments! How long would this keep in the fridge? I’m thinking of making it as part of a gift basket, but I wouldn’t want to give something that would spoil in a day or two. Thanks! Hi Helen. We have kept it in the refrigerator for a week, maybe up to two. I wouldn’t advise keeping it much longer than two weeks though since is is milk-based. Well just tried this. Complete fail. I have hard lumps of fat on top and the rest is a runny mess.. oh well will try again someday. Sorry you had trouble Tammy. It is quite possible that your cream was ultra-pasteurized, so it did not clot properly. Or, it is also possible that those “hard lumps of fat” are your clotted cream. You should have a firm section on top (that is your clotted cream) with a runny section on bottom that gets strained out. We hope you have a chance to try again! Could you strain the finished product using a sieve lined with cheese cloth? Hi Cathy. Yes, you could. You should just be able to skim the clotted cream from the top of the milky liquid with a spoon or spatula. But if straining would be an easier method for you, doing it as you described should work well. Take note! Perhaps don’t do this overnight. It seems like some models of ovens will shut off at a pre-specified time for safety. Mine thankfully shut off at around the twelfth hour and was still at temperature when I went to turn it back on, and my oven held the temperature. Perhaps start this in the morning, and then chill at the end of the night. A very good thing to note John. We’ll make a note in the recipe so that people are aware. Thank you! That’s great to hear the ultra pasteurizing didn’t have an effect in your case. Glad you’re enjoying the clotted cream! I just made this, and it turned out as expected (crusty golden layer etc). I skimmed it, and it looked a good consistency, but tried to stir the crusty stuff into it and now it’s much more of a liquid. Afraid I have ruined it now! Hi Nicola. You should be stirring the thick layer that you skimmed off just to make is smooth. This skimmed layer is your clotted cream. You can add some of the thin liquid to it if you find it to be too stiff. If you stirred your thick layer into all of the thin liquid, you might be able to drain some of the liquid off by placing the mixture into a couple layers of cheesecloth in a strainer and letting it strain out. I took all the clotted cream off the top first, and then stirred it so the the crust wouldn’t be visible (thought that would put off guests), but unfortunately all the thick cream I skimmed off the top became really runny. It was enjoyed, but disappointed with the texture – think I should avoid stirring next time! Interesting. I’m thinking something went wrong in your clotting process then. Was your cream ultra-pasteurized? I can’t guess what “c” means. Hi Kiwoong, “c” is the abbreviation for the American cup measure, which is also 8 fluid oz or 237 mililiters. Enjoy! Is 180* C or F? If C that translates to about 350*, and that’s hot! Hi Judith. It is 180F. So I made this, and it did not work out. Some of the fat from the cream had already solidified in the carton before I poured it into the dish. I put it all in the dish and I assumed it would all meld together once it was heated. But the fat remained separated, and when I woke up, there was a yellow pool of fat on top of the cream skin, which solidified into a crust in the refrigerator. I stirred it all together and what I have now is essentially butter. What should I have done differently? Should I have stirred the cream once the fat melted? Should I not have used the solidified cream at all? Or is there another problem? Thanks! Hi Greg. It’s hard to tell if there was something up with your cream, or if everything went right. It might be that you just needed to stir a bit of the thin liquid into your clotted cream to get it to a thinner, more spreadable, consistency. Clotted cream is kind of like a super creamy tasting butter. I only had ultr pasteurized at my store, will it still work?? Hi Lindsay, According to other readers, ultra pasteurized will work, however you will get much less clotted cream that you would if you used cream that is not ultra-pasteurized. I have just skimmed my clotted cream – I had a beautiful caramelly skin on top, a thick cream in the middle, and the liquid on the bottom – however, the cream is very stiff and definitely not dollopable, as I’m told it should be. I ended up leaving it in the oven for 13 hours rather than 12 as I slept through my alarm – is that where I went wrong? Hi Lauren, It sounds like your cream turned out perfectly! You may just need to mix a little of the liquid from the bottom into the thick cream, until it is spreadable. Enjoy! Hi Emily, If you can’t find non-pasteurized, use just pasteurized. You just want to make sure it’s not ULTRA pasteurized. Enjoy! Thanks so much for this. I can feel my stomach hurting already (as I can’t just eat one of anything). I’m waiting for my second batch of scones to come out of the oven. My clotted cream is all done, in a jar in the refrig just waiting! I used to drag my dear husband to tea rooms and he used to complain until he tried a scone with cream. Unfortunately, he passed away last year and didn’t get to try one of mine. Enjoy every minute you are able to as you never know when it will be taken away. So glad you are enjoying the clotted cream! Hopefully it brings back great memories of time spent with your husband. I followed your directions to the letter. I used 2 pints of heavy whipping cream – not ULTRA pasteurized – in a shallow 2 qt baking dish. The cream was about 1 1/2 inches thick. The oven was set to 180. Mine also came out of the oven with a golden crust. I cooled it to room temp and then covered it and chilled it per the instructions. The portion that I took off the top is/was quite thick. It is very stiff, not what I would call creamy at all. Once stirred it resembles very dry butter clumps that won’t blend into a smooth spread. It tastes wonderful, but the texture isn’t what it should be and certainly doesn’t look like yours. Thoughts? Thank you! Hi Liz. Thanks for your note. It seems that some cream firm up quite thick. You probably needed to mix a little of the thin liquid into your thick, clotted cream until it reached a spreadable consistency. Possibly try mixing the cream with electric beaters to break down the skin a bit more. Once mixed is it supposed to be lumpy? You may have a few little lumps in the clotted cream, but if you stir it enough you can typically smooth most of the lumps out. Does the clotted cream freeze well? We’ve never tried to freeze our clotted cream. However, typically when we freeze thick, higher fat, dairy products they get a bit grainy when they thaw, so I wouldn’t think freezing would be the best for the clotted cream. 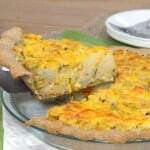 Hi, I just wanted to say that I have made this recipe and did freeze some that we couldn’t eat within a week. It didn’t seem to affect the texture or taste at all. Thank you so much for commenting on this Grace! It is very good to know! I just finished skimming my clotted cream and it is perfect! I needed my oven so I transferred the dish to my portable roasting oven about halfway through the process. Thanks! It came out amazing!! I was over thinking it. I did one with whipping cream that was batch pasteurized and one with heavy whipping cream that is pasteurized, but not ultra. They both were perfect!! Just FYI for first timers, when you take out of oven it won’t be solid per say. Still milky with a film over top (some holes in the film too)Just keep true to all the directions and you’ll be pleasantly surprised. Thanks so much for this!!! I’m ready for my tea party now. Thanks so much for letting us know how it turned out for you! What a great experiment. And, and it’s good to know that both work well! Happy tea party! Ok so… which is better to use…. whipping cream that is batch pasteurized? Heavy whipping cream that is pasteurized? Hi Ashley, Either would work. Heavy whipping cream (heavy cream) is around 36% milk fat, and whipping cream is 30% milk fat. Since we’re looking for the higher fat content here, the heavy whipping cream would be best. Batch pasteurized typically gets the milk to around 149F, while typical pasteurization gets the milk to 161F. (UHT or ultra-pasteurized brings it up to 280F.) So, in this case batch pasteurized would be preferable, because of the lower temperature. As you can see, both of your options have their pros and cons. If I had to pick between your options, I’d go with the heavy whipping cream because of the fat content. But, really, either should work well. If you feel inclined to try both as an experiment, do let us know which turns out better for you! We’d be very interested to hear! Hello! I am hoping to make this this weekend. Would whipping cream work? And batch pasteurized is ok? Just not ultrapasteurized correct? Hi Ashley. Heavy whipping cream will work well. Batch pasteurized should be fine, as long as it’s not ultra-pasteurized. Enjoy! What happens if your heavy cream is ultra pasteurized? I have a half gallon of it I need to use up! Hi Anne. 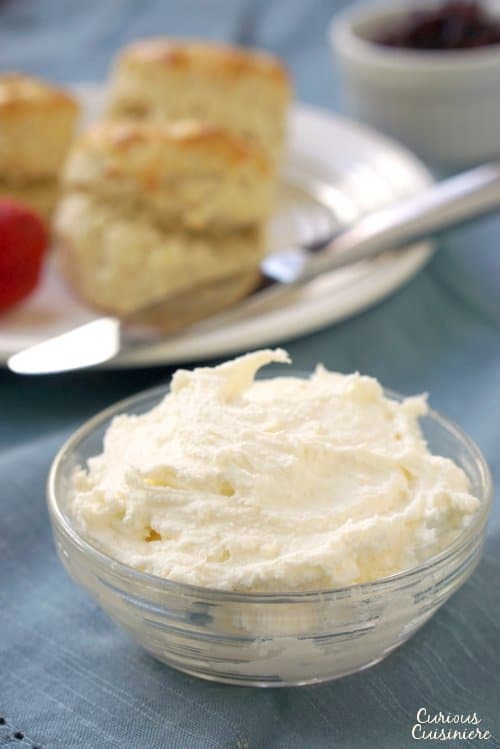 Ultra pasteurized cream won’t separate the way it needs to in order to make clotted cream. You could try it (since you seem to have plenty to use), but your yield would probably be much less, if any at all. Maybe try using it to make ice cream, quiche, or French baked custards! Hi Sally. Do you have a thermometer in your oven? It is possible that your oven is not calibrated correctly. Clotted cream does need to be made at a low temperature, so if your oven is running hot, that would cause some issues. What is the leftover “milky liquid?” Is it nonfat milk? I’m wondering if I could make yogurt with it. Hi Barry, It is kind of like a nonfat milk. You can use it like milk in baking, however since there is really no fat in it it wouldn’t give you the best results for yogurt. We just returned from England, and I’m already missing clotted cream with scones! 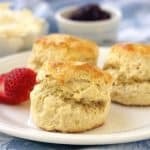 I have a great scone recipe but have never tried making clotted cream, and was delighted to find your instructions. Out of curiosity, have you (or anyone you know) ever tried it in a crock pot as opposed to the oven? Hi Caroline. We haven’t tried this in the slow cooker. But, that’s an experiment I think we need to try! Just made this and put it on scones today, delish! The only issue we had is that I think I used too large of a pan so the cream was in a bit too thin of a layer(still worked was just not super easy to separate) and we learned our oven has a safety feature that automatically turns off the oven after 10 hours. I will just have to make sure I turn off and back on right before bed next time. I just made this last nite and unfortunately was unsuccessful. The top had a thick golden brown crusty layer, almost like a dried caramel crust. The bottom underneath was completely liquified with a separation of fat from the cream at top. I’d say this looks overdone. It was in the oven overnight. Before I went to bed (approx. 2 hours in), I took a peek with the oven light on… and it already looked like clotted cream. It was thick, raised and very little liquid… would it take that quick to make clotted cream? I used a shallow glass baking dish, approx. 1 inch cream deep and the oven was on my lowest setting… 170 degrees. Should I have taken it out after 2 hours? Or what went wrong? I used organic heavy cream, pasteurized from Trader’s Joe. I was going to make the clotted cream 3 days ago but had already poured only 1 pint of the heavy cream in the glass casserole dish and realized that was only half the amount of the recipe. So I left that in the baking dish for a few days until I could get another pint of heavy cream. Could that be the problem? Not using fresh heavy cream? Hi Karen, We’re sorry you’re having trouble. Here are a couple thoughts for you. -A thick, golden brown, crusty layer on top (rather than a thin, dry skin) tells me that your oven was most likely too hot. Do you have a thermometer in there to be sure it heats to the right temperature? -Did you cover the dish and refrigerate for 8 hours after cooling? This step helps to set the clotted cream and makes the layers easier to separate. 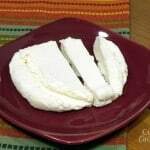 -When the cream comes out of the refrigerator (after heating overnight and then refrigerating for at least 8 hours) you will have three layers: a milky liquid on the bottom, thick cream fat in the middle, and a drier skin on top. The thick cream layer and the skin layer are your clotted cream. Mix these together and refrigerate. The liquid on the bottom is a result of the process and can be discarded or used like milk (in baking, etc). A thin golden crystalline layer is quite normal for clotted cream in the U.K, though not a thick crust. It gives a wonderful flavour. I’d suggest trying the recipe again, but keep an eye on it every hour or so. If you don’t have an appropriate sized pot I’d suggest increasing the amount of cream. You don’t want your surface area: volume ratio to be too great. I’d suggest a good three inches of cream depth. Good luck. Don’t forget a thin golden crust is a very good thing to have. You are correct MeS. When you make the clotted cream, you will notice a drier skin that forms on the top after going through the clotting process. 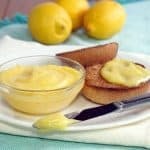 After you skim off the thick layer of clotted cream, with the skin, and mix it all up, the skin will soften as it sets. You don’t mix the thickened clotted cream into the thin, milky liquid. Enjoy! 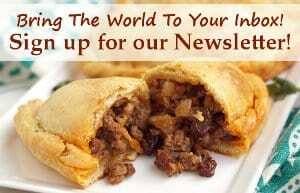 Do you leave in the oven for less time if you only want to make a half quantity? Hi Judy. If you’re making half the quantity, just make sure you are using an appropriately sized dish where the cream has plenty of surface area. (I’d go closer to only 1 inch deep of cream in the dish.) You will want to leave it in the oven for the same amount of time for the cream to go through the clotting process. Enjoy! I would love to make this! Finding cream that is not ultrapasteurized–impossible here in South Carolina. I can imagine it might be difficult in some areas. We’re in Wisconsin, so it’s a bit easier. If you have a place like Wholefoods around you may be able to get it there, or other ‘natural’ food or farm stores. Can you use the leftover milky liquid in the scones? Thanks! That would be a great use for it! It can be used in baking just like you would milk. Enjoy!